1. From the Model menu select the Check Complete Model command. 2. 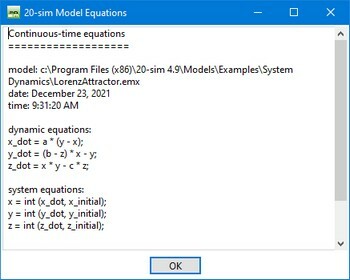 From the Model menu select the Show Equations command. Now a window is popped up showing all the model equations. The model equations after compiling.